It's official! 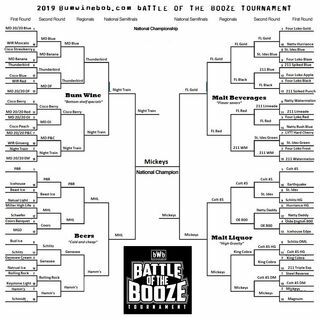 Mickey's Fine Malt Liquor is the 2019 bumwinebob.com battle of the booze champion! Thank you to everyone who voted and congrats to Mickey's for taking home the trophy after a hard fought tournament! To help us celebrate this big victory, I am joined by the legendary Kal Ferrari of The Kal Ferrari Show on this weeks edition of Bumming with Bobcat! Kal is going into national syndication and he's making a stop with us to tell us all about it! When Kal ... See More isn't causing controversy on radio, he works part time at Flamin' Joe's Wood Fired Fajita's and GoBot Emporium as a bus boy/fajita photographer since the radio station has cut his salary after too many FCC fines. Who in the radio industry does Kal have a bone to pick with? Who did he have a one night stand with? When can you expect to see his new cookbook? Tune in and find out!